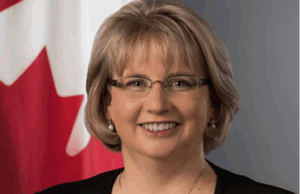 Dr Heather Cameron, the Canadian High Commissioner to Ghana, has said women contribute 60 per cent to the growth of agriculture in Ghana and, therefore, deserved equal opportunities as men in the sector. She said men were given much opportunities in the agriculture to the disadvantage of women, who rather contributed immensely towards socio-economic development. Dr Cameron said this at a conference in Accra organised by the Canadian High Commission, in collaboration with Agence Francaise de Development on the theme: “Gender Equality through Agriculture in Ghana” on Thursday. She said it was for that reason that the Canadian Government, partnered Ghana to promote employment and increase productivity to enhance economic growth. Dr Cameron said Canada was willing to help Ghana to modernise its agriculture and strengthen the value chain of food security. She noted that they would support Ghana in partnership with the private sector to achieve the Ghana beyond Aid Agenda. “Our development firms are helping Ghana to export food crops including cocoa to Canada,” she said. Mrs Cynthia Morrison, the Minister of Gender, Children and Social Protection, said she was going to lobby for many women in agriculture to get loans to enhance their operations. She urged the conference organisers to extend their training to the rural areas to educate the farmers on best practices to yield more from their labour. “We are incorporating agriculture into the School Feeding Programme because we want to introduce our local foods so that the local farmers will also get jobs to do. We have to help the woman to grow to supply to the Programme,” she said. Ms Anne-Sophia Ave, the Ambassador of France to Ghana, said France would support Ghana through inclusive partnership programmes. “Women dominate the world, therefore, excluding women from developmental projects, especially agriculture, was cutting away half of the wealth of the world,” she said. Ms Paulina S. Addy, the Acting Director of Women in Agriculture Development (WIAD), Ministry of Food and Agriculture, making a presentation on the ‘Government’s Strategy on Gender Equality in Agriculture in Ghana,’ said WIAD was working towards enhancing the contributions of both men and women to agriculture. She said they also had a responsibility of ensuring that felt needs of farmers were addressed to ensure gender equity and capacity building. She mentioned low environmental protection through inappropriate agricultural practices and the under-utilised potential of Youth in Agriculture as some challenges in the sector.